Soon guests will witness the ultimate power of the fully armed and operational theme park land, but not yet. 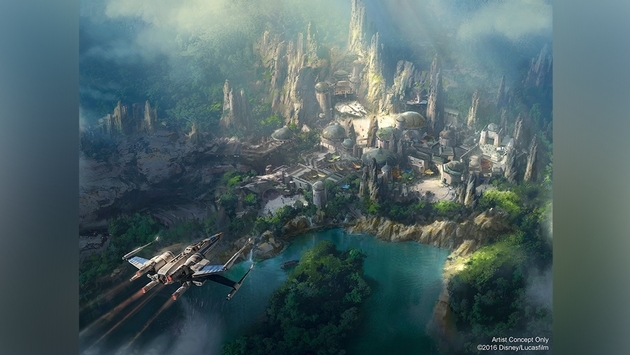 Disney is gearing up for an entire land based off the Star Wars Universe, as construction is in full swing. The new land will be a complete and total immersion into the Star Wars Universe, and will take guests on a journey to a space outpost at the edge of the galaxy. There have been few details on the new land, but over the weekend a few more details have slipped out, including a new look at the area, plus some news on a new mission coming to Star Tours. Destination: D23 happened at Walt Disney World’s Contemporary Resort. The mini-convention is strictly for Disney fans, and featured a weekend full of talks about past attractions, new merchandise and much more. One of the features was the parks and resorts talk that takes guests into the future of theme park attractions. Of course, the future of theme park attractions is Star Wars at Disney’s Hollywood Studios and Disneyland Park in California. The new land is in full construction mode, and will feature two new attractions, plus a variety of new shops and restaurants that bring guests fully into the world of Star Wars. Details have been scarce, but we know that one ride will give guests the chance to pilot the Millennium Falcon. The other ride will take guests on a journey to escape the First Order. 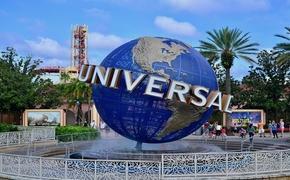 Both attractions are said to be more interactive than you’ve ever seen a theme park attraction before. The rumored opening date has the new land being open in time for the final film in the new saga, in 2019. Meanwhile, Disney has released an all-new piece of concept art. The new art depicts the space port at night. Disney has confirmed that the new land will take on a new life at night, and we can only speculate what that means. We will definitely get to see the lights of this bustling space port. However, will the bad guys come out at night? Could there be a push to have villains and different characters roaming the streets of Star Wars Land than in the daytime? It’s definitely fun to think so. Roaming bands of evil aliens, wandering bounty hunters, all looking to cause an extra bit of trouble. In the more immediate future, Disney has announced that Imagineers and Lucasfilm are hard at work on a brand-new mission for Star Tours: The Adventure Continues. Star Tours is the hit Disney ride that takes guests to different locations in the Star Wars Universe. The new missions will take place in Episode 8. We can probably expect to see Luke Skywalker, Rey, Finn and a few more surprises. The new missions will debut with the new film in December of 2017, which is just over a year away. Disney did the same with Star Tours when The Force Awakens opened in 2015, with new missions that took guests to new destinations like Jakku. Star Wars is getting ready to launch the first standalone film in the Star Wars universe. “Rogue One” will tell the story of the heist that stole the plans to the Death Star. In April of next year, Star Wars Celebration will roll out in Orlando. Guests can expect to hear all kinds of fun new details about the next chapter in the Star Wars Saga, as well as the latest on Star Wars Land and more! Will a galaxy far, far, away be on your next travel plans?